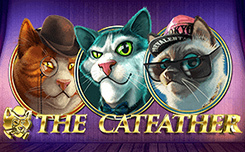 The Catfather slot is equipped with 5 reels and has 9 paylines. 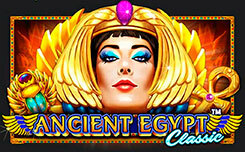 The game features simple and special symbols, free spins and other prize options. Among the symbols you will find five cats, names of playing cards, from Q to A. Wild – a box with kittens, can form winning chains by standard rules. Moreover, even one such symbol is enough to form a paid sequence. In addition, it can replace other pictures, except for the scatterers, if necessary. Scatter (mouse) is paid at any position on the screen. 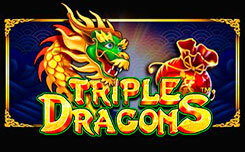 Winnings for such combinations are calculated at the general rate. 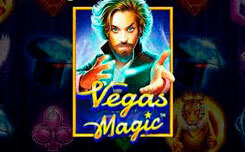 Three, four or five scatterers start ten, fifteen or twenty-five free spins. All payments here increase fourfold. Random Stacked Wilds – can begin in any back, on any of the three middle drums. In one or more columns, boxes will appear, from which the kitten will jump out. He will remove all three pictures in this column, replacing them with a long Wild. 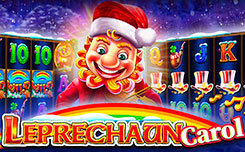 Pragmatic Play has released a quality, interesting model with bright graphics, cool characters and great features.